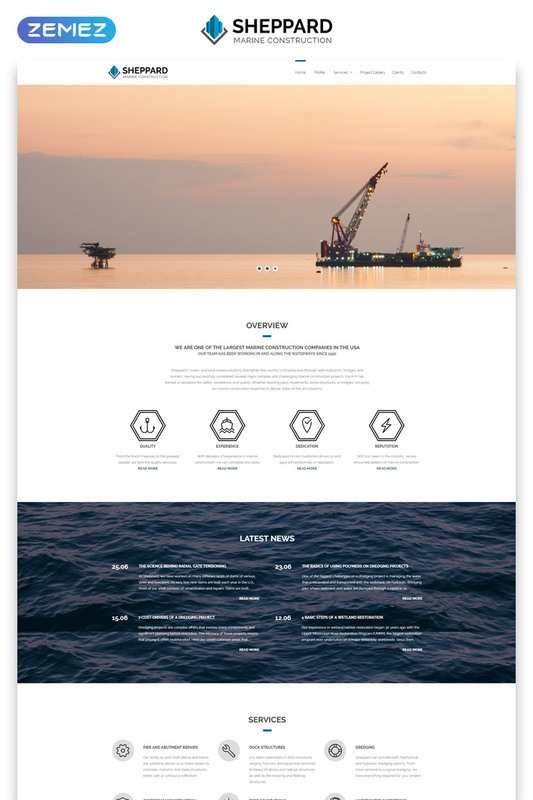 Short description: This Marine Construction HTML5 Template is the best responsive solution. 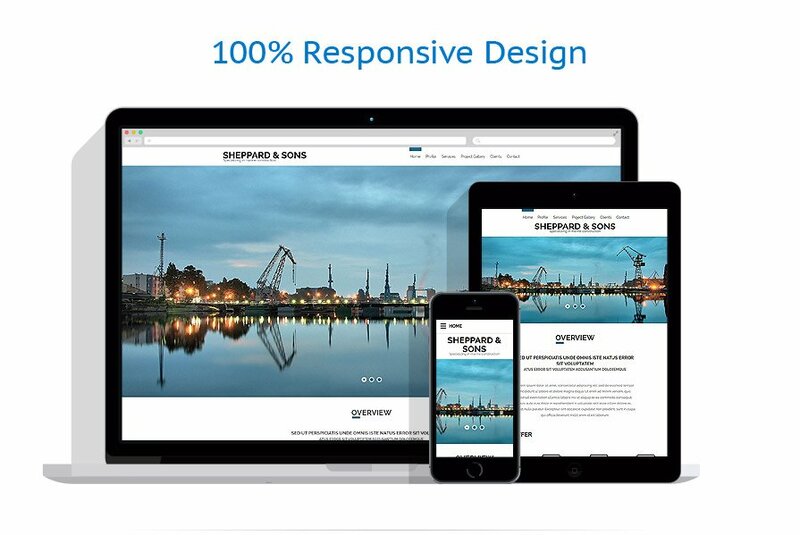 It allows you to create a professional website in minutes. This template comes with ready-made pages. 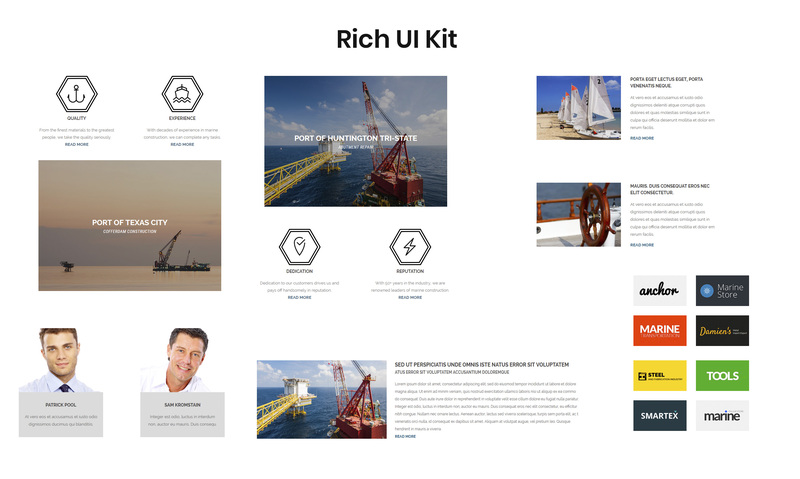 And a variety of colors and styles of headers with flexible layouts for displaying content. And also the easiness of set up. Those are the significant characteristics of this template. It's built using the latest web technologies. Among them, CSS3 and HTML5, which makes deployment, content filling, and support more comfortable. 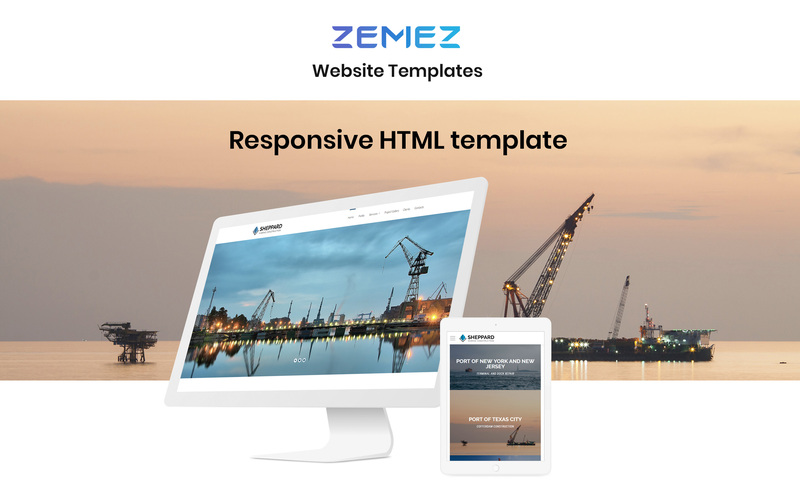 The template is SEO-optimized, which will make your future website search engine friendly and help you with internet marketing. There's also a powerful, intuitive, and user-friendly control panel with all the basic built-in functions. It will help you with management and configuration.